There are two gardens in the world. One is earthly garden which is unprotected, where the flowers grow and perish, may be the flowers are exploited by some flying insects like cockroaches, beetles etc!. This insects does not produce honey!. The other Garden is “Gardens of Paradise” (Gardens of Zikr), the Protected Garden. The Garden that is maintained according to the Laws of Allah Almighty and Traditions of the Prophet Muhammad (alaihiswalathu wa salam). In this Garden, harmful insects cannot enter, this Garden and it’s flowers and fruits are heavenly. They remember it in the heavens! Quran 2:25 But give glad tidings to those who believe and work righteousness, that their portion is Gardens, beneath which rivers flow. Every time they are fed with fruits therefrom, they say: “Why, this is what we were fed with before,” for they are given things in similitude; and they have therein companions pure (and holy); and they abide therein (for ever). So to become a flower in the Garden of Paradise, one must enter in it as a seed, as empty, then plant yourself in it by the Gardener, Gardener is he who leads the Zikr assemblies. He is going to help you to grow up, by his works the seeds sprout and grows, no harmful things can enter into the Garden as the Gardner works on you, his orders and advises make the plant grows. Some day, the plant start to grow flower. Now, the plant has become flower, the nectar is ready to be taken. 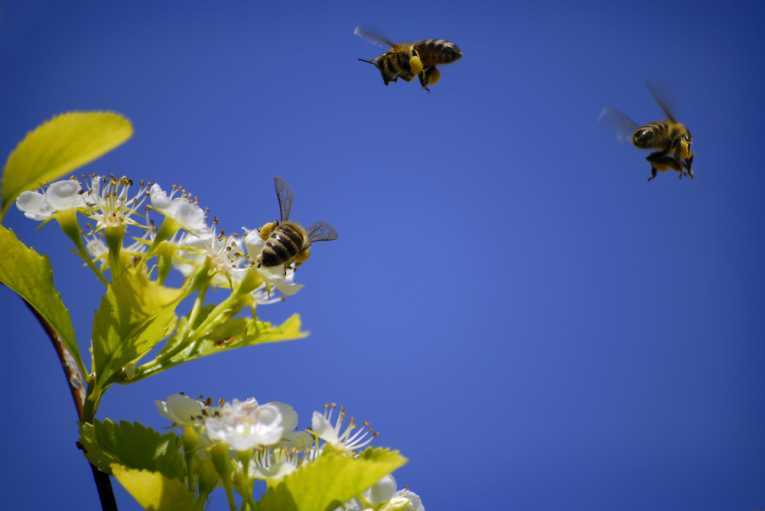 Now the heavenly Bees descend to take the nectar, your Heart. The Bees coming and taking you to the next level , to the honey comb. Where you are placed inside, the honey been lays egg into the nectar. Quran 97:4 The angels and the Spirit descend therein by permission of their Lord for every matter. Now, the Egg of honey bee takes birth, a new bee is born with the nectar. 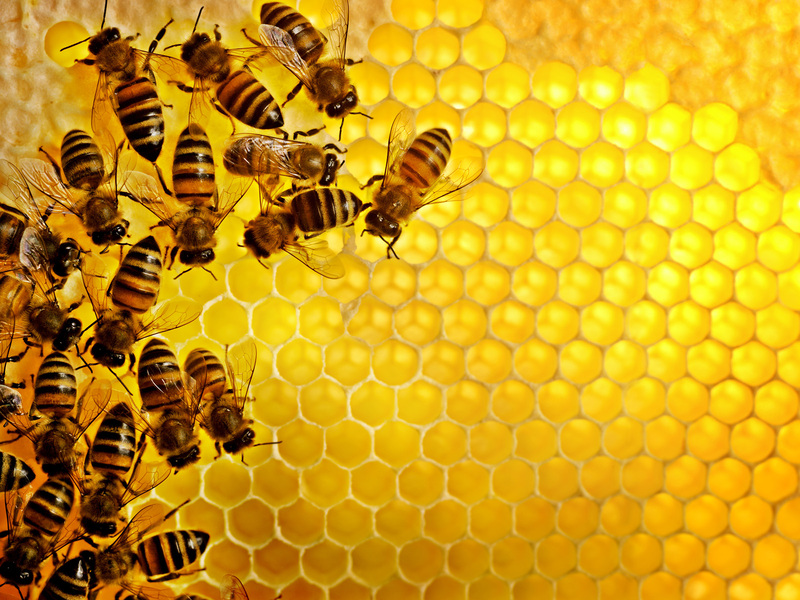 Honey bees only drink Honey, they turn Nectar into honey. So the transformation of earthly nectar to honey by the works of Honey bees, now you are ready to become a honey bee. The honey comb is opened and now you-the Honey Bee are ready to fly back to the Gardens of Paradise to bring up new flowers to become Honey Bee!. So in this world, only in the Gardens of Paradise, the Heavenly People are brought up from the flowers (Body) to the Honey bees (Bearers of heavenly honey). So, the Honey bees does not mix themselves with other insects, even if Honey bees are in the crowd, the are in solitude in the crowd. To become Honey (Arif) and then to become “Honey Bee”, you need to follow the Sharia’ah (Divine Laws) that protect the flowers from every other insects other than Honey bees then to walk in Tariqah , to completely submit to the “Honey Bee” who take your Soul (Nectar) from the flower (Your body), and takes the nectar to the honey comb, in the honey comb, where it is Fana (Annihilation) and Haqiqa (Truth). In the Honey comb where the Nectar and Heavenly body (Bee egg) becomes one , then flying in the Gardens of Paradise. This is how the “Spiritual Ways are leading a believer to Eternity!. To become heavenly “Honey Bees”, drinking in this world and hereafter from the “Heavenly pool”. So seek the fellowship of Heavenly Honey Bees, Drink their Honey, do not look at Earthly people, their ways, though they say they follow Quran and Sunnah, they do not follow the heavenly people!. So they are cut off from the “Al Jamahm the heavenly fellowships! Do not mix with the creatures that drink nectar and other dirty waters , but be with those “Honey Bees” who drink only honey and nectar!. The First Laws that Almighty God given to Adam (A.S) and all other Prophets is the “Food Laws”, not to eat from such and such!. So as for Spiritual Food, do not touch that is forbidden by God Almighty. The corrupt ways, do not ask beetles and cockroaches about honey, do not follow them, follow Honey Bees!